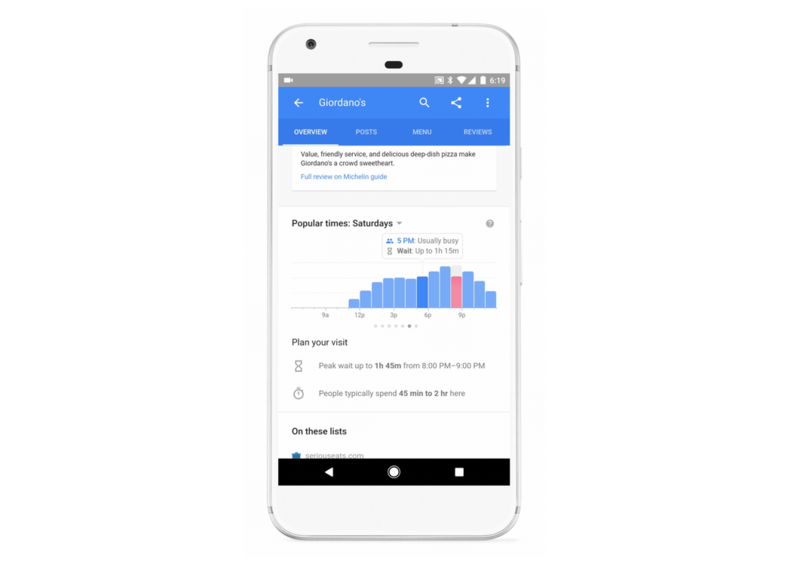 When this functionality rolls out, you'll be able to use it by searching for the restaurant on Google, opening the business listing, and scrolling down to the 'Popular Times' section. Here, you'll see the estimated wait time for the current time, as well as for other time periods. Plus, you can see each day's wait times below the hour bars, allowing you to plan ahead to avoid busy times. All of these wait time estimates are extracted from anonymized historical data. You'll see this roll out soon on Google Search, and it'll come to Maps shortly after. No longer will you have to restlessly wait to be seated.